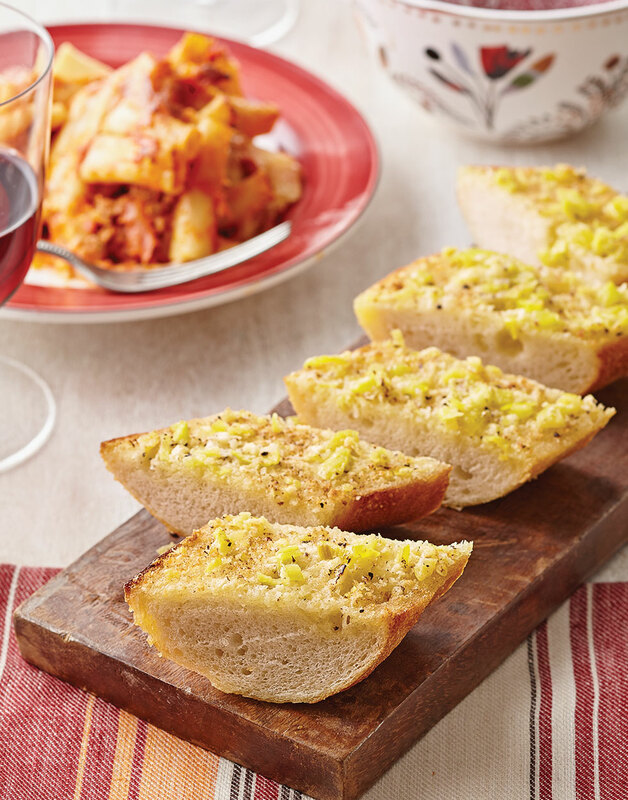 Now this is some garlic bread with pizzazz. A combination of butter and olive oil mix with garlic, Parmesan, and briny pepperoncini for one unforgettable bite. Combine butter, oil, pepperoncini, Parmesan, and garlic; season with salt and pepper. Spread pepperoncini butter on cut sides of baguette, place on a baking sheet, then broil until golden, about 5 minutes. Cut each baguette half into 12 pieces.